Founded by real estate professional, Aman Kapoor, Toronto Condo 4U not only offers premier real estate professional services, but also exclusive VIP access to some of the best pre-construction condos and homes the GTA has to offer. 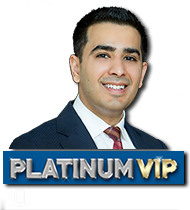 Aman Kapoor specializes in pre-construction projects and through his developer relationships has access to Platinum VIP sales events & true unit allocation in advance of the general Realtor and the general public. Our clients receive first & direct access to all the latest developments that you simply cannot get by going direct. Torontocondo4u clients receive priority access to floorplans and prices, before the general public and these prices are complimented by special incentives. Torontocondo4u.ca is a platform for investors and buyers looking to make money investing in real estate and maximize return on investment. Learn how to buy low, sell high, earn rental income, build equity and use leverage to maximize profit. Register with us today to get Exclusive VIP access to new developments across the Greater Toronto Area. An essential component of purchasing pre-construction condominiums is to take advantage of pre-launch pricing and save thousands. Our clients have first access before the public opening which guarantees them the lowest possible price to purchase their dream property – whether it be for investment or for personal living. TorontoCondo4U provides first access to the project’s inventory, and most importantly valuable information to make the ideal purchasing decision, including floor plans, exclusive discounts and other VIP incentives. Why Join Our VIP Access Program? Whether you desire to own a new condominium or want to invest in one for the future, we are ready and willing to help you stay a step ahead of everyone else with access to the right condominium suited for your needs, at the right time, and at the lowest entry prices. What’s more? We provide free consultation, help you interpret developer contracts and work one-on-one with you negotiate with the developer and complete your purchase. We are Developer Approved Platinum Brokers. So, what are you waiting for? Call or Email us to Register Today to save thousands.